Forks of the Wabash Uncorked is being held Friday, July 12 at the Historic Forks of the Wabash. Located at 3011 W Park Drive, Huntington, IN from 5:30P – 9:00 PM. This year you can get a even bigger discount on your Forks of the Wabash Uncorked tickets if you buy them before May 1. Early bird tickets are on sale now for $25 via Eventbrite. After April 30 tickets will be on sale for $30 and $10 for Designated Driver. Gate tickets will be $35. 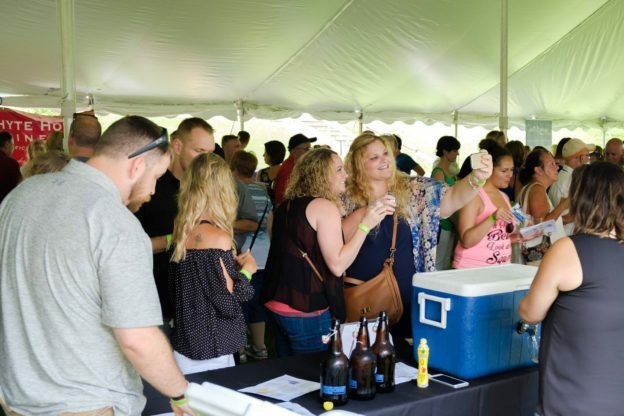 Each sampling ticket includes: admission to event, ability to sample from each of the winery/brewery, access to the food vendors, live music, silent auction, and 50/50 raffle. The event is premier wine and beer tasting event with lots of area wineries, cider companies, and breweries participating. Not to mention area food trucks will be on hand will food available for purchase. Event is for those who are 21 and over only.